I graduated from Drexel in 2011 with degrees in business administration and economics. During my senior year, I was offered a job at Vanguard, a mutual fund located near Philadelphia, after graduation in a yearlong rotation program for financial professionals, and then transitioned to various analytical roles throughout my four years at the company. While at Vanguard, I became a travel enthusiast and used nearly all of my vacation days to travel around the world. I became passionate about international development and foreign affairs. So, I decided to take my career in another direction, and in 2015, I left Vanguard and joined the Peace Corps. 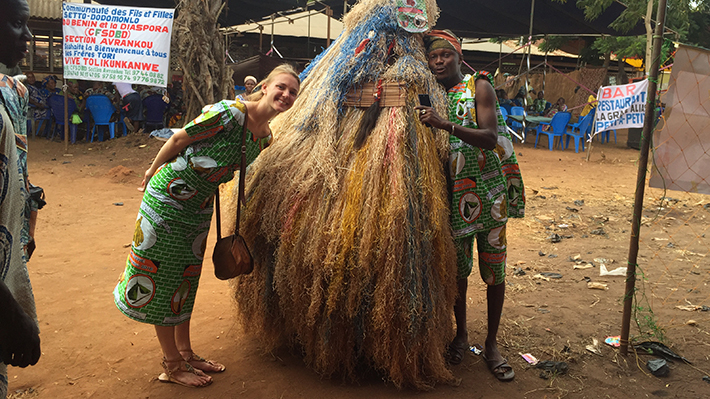 I now work as a Community Economic Development Advisor in Benin, a country in West Africa that borders Nigeria, and I plan on getting my master’s and continuing to work in international development when my service ends next year. My education and experiences at Drexel have provided me the foundation and flexibility to pursue two different careers. I was able to get my job at Vanguard because of Drexel’s co-op program, its emphasis on professional development, and the analytical skills I acquired through my coursework in finance and economics. The Peace Corps valued my undergraduate education and my experiences in the private sector and put me in a role where I consult small businesses and local NGOs to help them establish and improve production, accounting, marketing, and administrative operations. My degrees along with my professional experiences have made me a strong candidate for the master’s programs I’m applying to in public policy and international development, and I am certain they will continue to benefit me throughout my entire career. Students talk about why they chose Drexel LeBow’s MS in Economics program, which focuses on industry and policy economics.